Ghostly Treasure: What’s in a name? By now many of you have noticed that I changed the title of THE GHOST AND CHRISTIE MCFEE to GHOSTLY TREASURE. I decided the story was more of a “sweet romantic mystery” than a “sweet romance” and I wanted the cover to show that it was about diving. So the name of the book is different, but the story is the same. Have you ever wondered how an author goes about naming characters? In GHOSTLY TREASURE, the hero and heroine were not always Gaven St. Michel and Christie McFee. 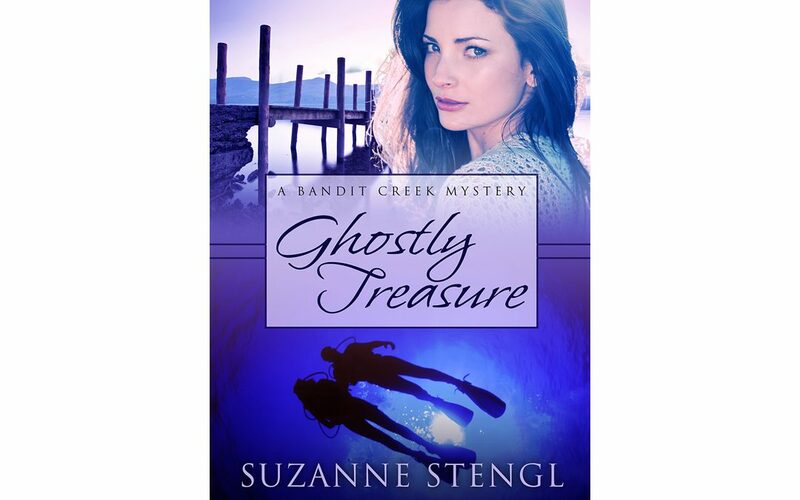 GHOSTLY TREASURE is part of the Bandit Creek collective. Now it’s part of the smaller collection of BANDIT CREEK SWEET found here. Way back when this book was still mostly an idea, I needed to fill out the publication slot with a title. “The Ghost and Sarah McFeigh” popped into my head. Then I didn’t like Sarah, and Sarah became the nasty aunt. I landed on Kristy for my heroine, at least for a time. For the hero, I pictured someone of French Canadian origin. I liked “Remy” right away. Then for a last name . . .
Ahhh, Michael. The archangel, first seen as a healing angel, and then as a protector. I liked the Protector angle. But then, after I started writing, Remy didn’t work. I had too many E endings: Remy, Kristy, Ripley, Charlie. I thought about using Gabriel, but that wouldn’t work because I had a Gabriel showing up in my next novella. At the time, I had just finished reading a story where the hero was called GAVIN. I chose a variation, GAVEN. It worked with St. Michel so my hero was named. Now back to the heroine’s name. At this point, she was Kristy McFeigh. The Feigh could be pronounced two ways, so I shortened it to Fey. (A hard “A”.) Then I remembered there was another character in the Bandit Creek series with a similar name. I wondered if Kristy McFey was different enough. It was time to consult with some other writers: Roxy Boroughs, Amy Jo Fleming and Brenda M Collins. Me: Does anybody see a problem with my heroine’s name as Kristy McFey? Amy Jo: I love Kristy. Could not find a listing for McFey but McFey would be the son of Fey. Fey is not a common name, only found it once in a Scottish census in the 1800s. Roxy: Why do you ask? Me: I just wanted to see if it twigged. If there was an echo from an existing character in the series. Does it remind you of anyone? Roxy: Not really. Sounds like she’d be cute. Fey makes me think fairy or effeminate. McFey vaguely reminds me of McVey (as in Timothy). Boom! Me: Yeah . . . I didn’t like that McVey association either. And he was McVeigh. I had thought of calling the heroine McFeigh, but that would be worse. Amy Jo: I think that McFey would be a cool name if the character has some kind of psychic ability or is unconventional in some way. Then you could play with the name a bit. The idea that it means “doomed” might be good if the heroine was to die or had to be saved from something deathly. She could always be struggling against her fate and there could be many losses in her family making her somewhat tragic. All in all, I think it could provide an interesting scope for the character. Me: I don’t want her to die! And she has no magical powers. I think I will have to save “Fey” for another character in another book. Brenda: In Irish/Newfie culture ‘fey’ means a fairy or soothsayer so McFey would mean Son of a fairy or soothsayer. I’m surprised it doesn’t show up as Fairy in a search. I’m sure I’ve seen it in my research on witches. I agree you might want to save it for someone with a magical power. Me: There’s another problem. Tawny’s character is Kirsten Morgan. Are Kirsten Morgan and Kristy McFey too much alike? Roxy: Well, ya know, I didn’t make the Kirsten Morgan connection . . . and I even mentioned her in MY book. But, yeah, you could certainly start it with a C.
Me: Which? Kristy McFey, Christy McFey, Kristy McFeege, Christy McFeege? Me: Thanks. I think I will christen her today. You can be her godmother. Roxy: Can I be a fairy, too? I’d like to have a wand. Me: Fairies will have to be for another story. This one is about ghosts. Amy Jo: You want Christy McFeege? Me: Yes, I googled Christy McFeege and no one has it. I suppose her birthday is today, Dec 18. Now I will find a picture of her, and then I expect to be writing this on Dec 26. Thanks for the feedback. 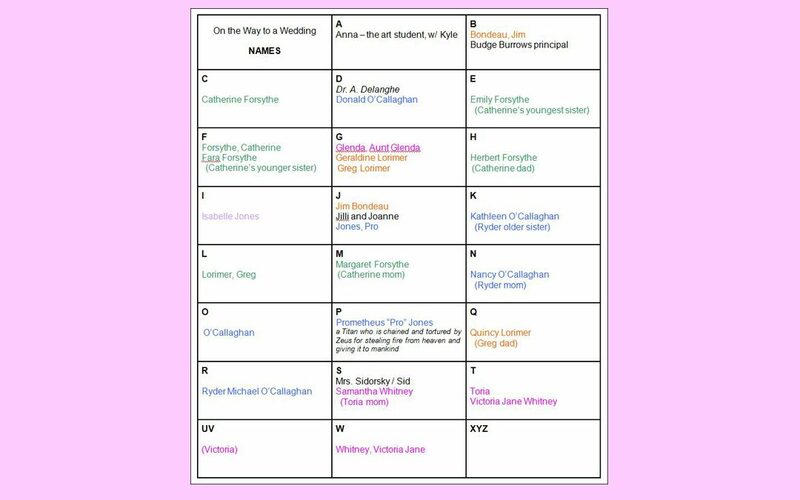 It’s like naming a child. Brenda: Hey, I’ve been trying to rename myself for years now and I still haven’t settled on anything. Me: Wait a minute. I just figured out that with an “e” ending, McFeege has a “j” sound and I want a “g” sound so there is the alliteration with “ghost” in the title. The Ghost and Christy McFeege. Amy Jo: Leave off the E, then it’s a “g” sound. Brenda: But you trip over the “g” sound at the end. Go to McFee. Me: But someone in the world actually has the name Christy McFee. Roxy: Someone other than you has the name Suzanne Stengl. Amy Jo: That’s what the copyright disclaimer is for. This is a work of fiction. All of the characters, organizations, and events portrayed in this novel are either products of the author’s imagination or are used fictitiously. Me: Okay. She is Christy McFee. 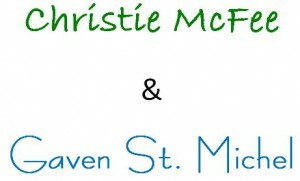 Do you like Christie McFee for a name? Would you have chosen one of the other variations? Can you hardly wait until I write a story with Remy as the hero? The Ghost and Christie McFee is available here.